Sue Miller has been with the agency since May 1986. She has over 32 years of experience in the insurance field. Prior to joining the agency, Sue worked at a Farmers Insurance Agency in Orange County, CA. 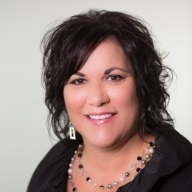 She is licensed to sell personal and business insurance in Iowa, Wisconsin, Illinois and Minnesota. Sue specializes in business insurance and also handles all office operations including accounting and office management. She serves as COO & VP of O’Connor & English Insurance Agency. Sue is married to Jim Miller who owns Key City Recycling in Dubuque. She has three daughters, one step son and three grandchildren. Sue and her husband are members of the Julien Dubuque Yacht Club. In her spare time she enjoys spending time with her grandchildren Kendyl, Braylee, and Parker, golfing, and taking care of her Yorkies.